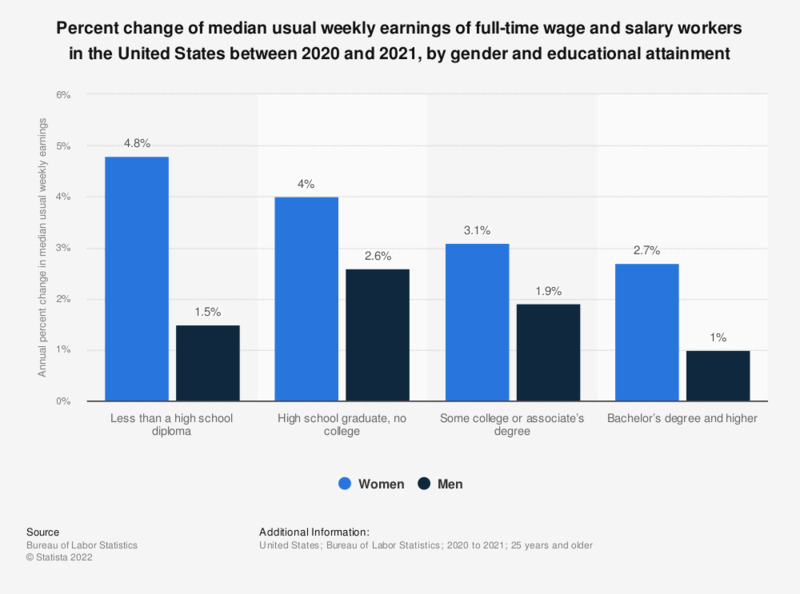 This statistic shows the average annual percent change in median usual weekly earnings of full-time wage and salary workers in the United States in 2018, by gender and educational attainment. Male workers with some college or associate’s degree tend to earn around 3.7 percent more in 2018 than the preceding previous year. The change is measured as the percent change of current-dollar median usual weekly earnings.